Sabathia allowed just one run on six hits and a walk, with five strikeouts, to earn his fifth win of the season. His record is now 5-3 and he lowered his ERA to a superb 3.02. In his nine home starts of 2018, CC is 3-1 with a 2.54 ERA, as he has allowed just 14 earned runs in 49 2/3 innings. He has allowed one-or-zero runs in five of those nine starts. Sabathia has come to serve a very important role for the Yankees, that of "the stopper." Since the start of the 2017 season, he is 12-0 with a 2.47 ERA (105 2/3 IP, 29 ER) in 18 regular season starts following a Yankees loss. 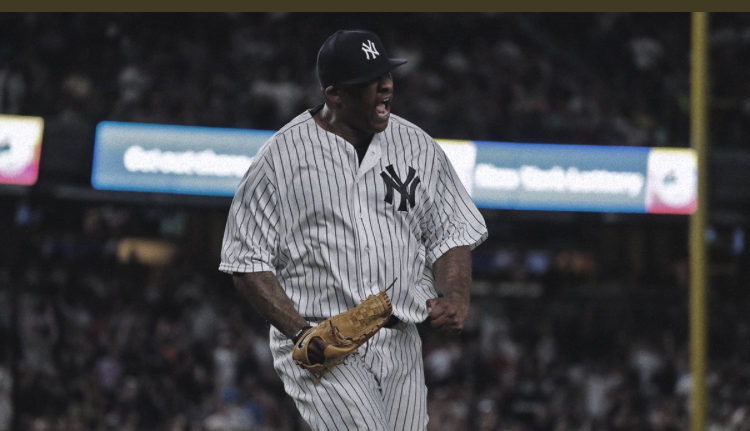 In addition to those sterling numbers since the start of last season, Sabathia is 5-0 with a 1.95 ERA (37 IP, 8 ER) in six starts against the Red Sox. He has allowed one or no runs in seven of his last 11 starts against Boston going back to August 6, 2015. Sabathia earned his 242nd career win, surpassing Herb Pennock, who had 241 W's, for sole possession of 54th place on Baseball's all-time wins list. He also surpassed Pennock for 13th on the career wins list among left-handed pitchers. For Bird, this was the second multi-home run night of his career, as he hit solo shots in the fourth and eighth innings. His first came on August 19, 2015 vs. Minnesota. The pair of dingers give Bird five on the season, and the big night bumps his average up to .204, with eight RBI on the season. Of his 19 hits on the season, 12 have gone for extra bases (five HR, six doubles, one triple). Andujar's two-run homer came in the fourth inning, right before Bird's, as they went back-to-back to make it 5-0 Yankees at the time. Andujar, who was 3-for-4 on the night with 3 RBI, has recorded 39 extra base hits in 74 career games, third-most in Yankees history to that point, joining Joe Dimaggio with 54 and Bob Meusel with 46. The 12 homers he has on the season makes him the fifth Yankees rookie to have at least 10 homers before the All-Star break, which is still over two weeks from now. He joins his teammate Gleyber Torres, who has 14 this season, Aaron Judge, who had 30 before the ASG last season, Joe DiMaggio (11 HR in 1936), and Nick Johnson (11 HR in 2002), per Elias. Andujar and Torres are the first Yankees rookies with at least 10 homers before the All-Star break in the same season. They are the first team since the 2016 Dodgers when Corey Seager (17) and Trayce Thomson (13) to achieve the honor. Judge's two-run homer came in the seventh and made it 7-1 Yankees at the time, basically putting the game away. That was his lone hit of the night, as he went 1-for-4, extending his on-base streak to 16 games. He has a slash line of .305/.400/.542 (18-59), 3 HR, 9 RBI, 10 runs, 5 doubles, and 10 walks during the stretch, which began on June 12. At Yankee Stadium this season, Judge is lighting it up, as he is hitting .356/.481/.726 (52-146), with 14 HR, 40 RBI, 12 doubles, 35 runs, and 36 walks in 41 home games. The Yankees improved to 53-26 on the season, the best in the majors. As the temperatures heat up (Friday's first pitch temp of 90 degrees matched the hottest at The Stadium this season), expect their bats to get hot as well, with tonight's four long balls a sign of things to come. The Yankees can also count on ol' reliable, their stopper Sabathia, as exhibited by this masterful outing, shutting down the powerful Red Sox lineup.